This weekend saw the return of one of Echo Park’s most treasured traditions: the Lotus Festival. 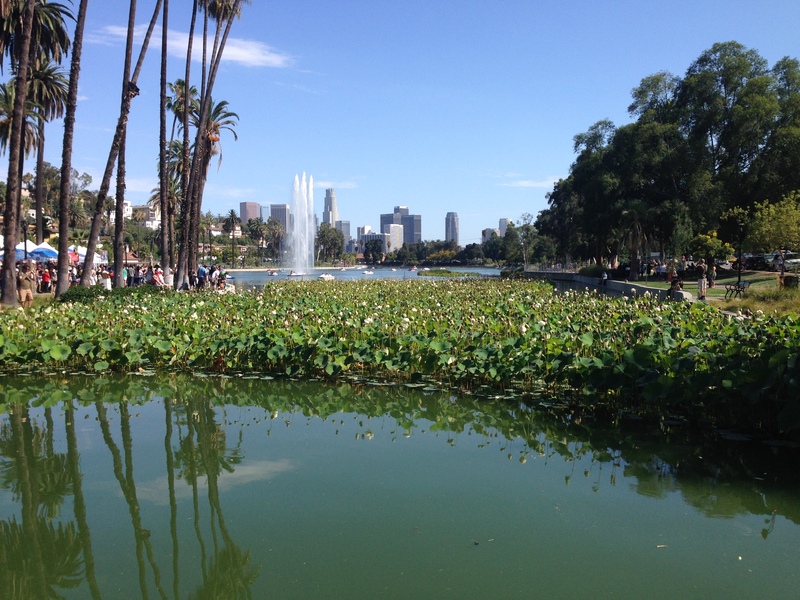 July 12th and July 13th saw the first Lotus Festival in three years due to the clean-up of Echo Park Lake. I took a bus trip there on Sunday to check it out. 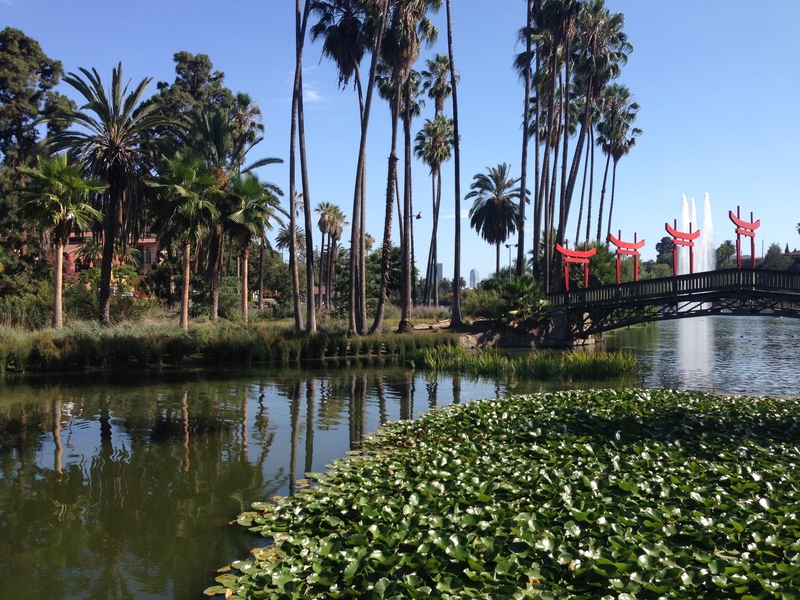 The lotuses and fountain of Echo Park Lake. In the background, the downtown skyline. The Lotus Festival is a two-part celebration: The festival honors the contributions of Asian Americans throughout the community, focusing this year on the Filipino community. The festival also celebrates the annual bloom of the lotuses, which have become a symbol of the Echo Park neighborhood since they first appeared in the lake in the 1920’s. In addition to the beautiful blooms, the Lotus Fest was the place to be for tasty food. About a dozen different vendors were selling their creations, most of which were traditional Asian street dishes. I had a taste of a pork belly skewer, a spicy pork skewer, and fried calamari. Everything was delicious, especially the pork belly. Great day. Good friends, good food and a celebration of one of LA’s most culturally rich neighborhoods. The lake looks great, and the lotuses are as beautiful as ever. Proof that I like to party with lotuses.